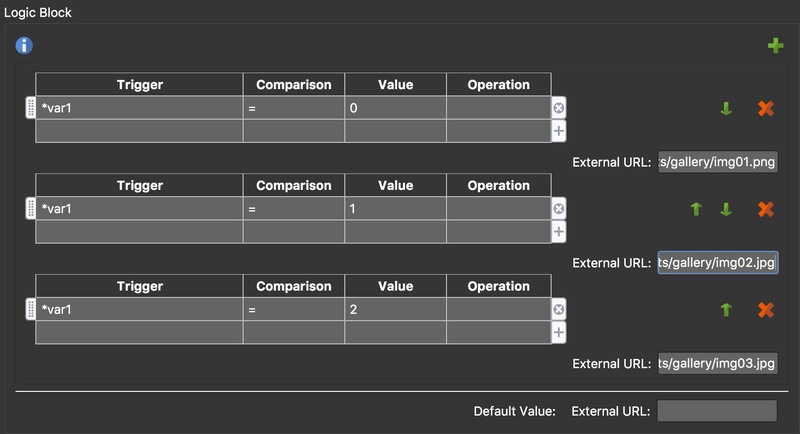 Action filters let you define conditions for the execution of actions assigned to an element. In this tutorial, Hopki shows us a few examples on how to use them. In the Skin Editor, add a menu from the Components Toolbox or create your own. This will hide the menu in the chosen browser. In this example, 2 buttons will change a variable’s value. Then, based on the variable’s current value, a third button will open the selected panorama. In Hopki’s example above, he is using a TV channel changer to change nodes. There are buttons for tuning up and down and a button to change to selected node. Add a number variable to the skin. Add three text boxes (or rectangles) to represent buttons. One will move up the channel numbers (1, 2, 3) and a second button will move the channels down (3, 2, 1). These two buttons will flip through a gallery of thumbnail images. The third button will open the selected panorama. Add an action to the buttons that will change the variable’s value. In Hopki’s example, these are the channel up and down buttons. Add a second action to the buttons to keep the variable moving in a loop. So that the up button counts, 0, 1, 2, 0, 1, 2, etc. and the down button counts 2, 1, 0, 2, 1, 0, etc. Add actions to the third textbox (button) that will select the node. Add an action for each node in the tour. This means that node 1 would only be opened if the variable’s value is 0. Add filters to the other actions, but change the variable value. To change the text in the third textbox, to show which node is selected, expand the Text pane. Add an External Image to the skin. This will hold the thumbnail image gallery. 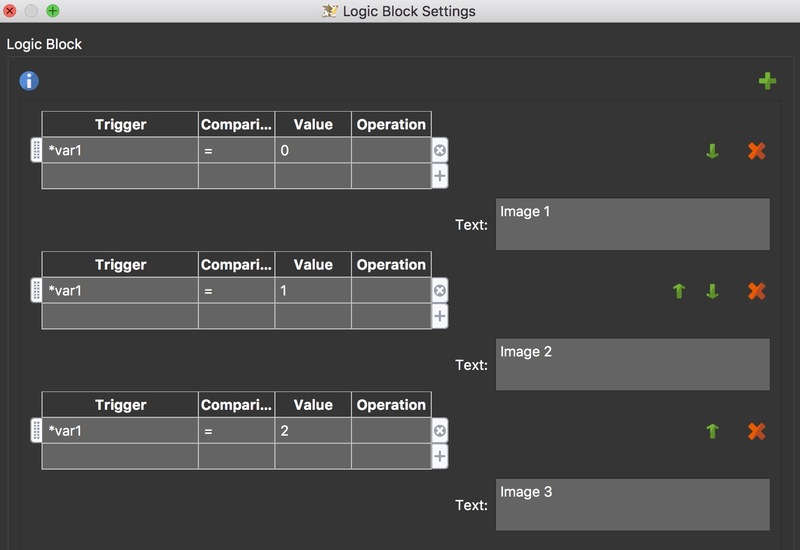 Open the External Image pane and add a logic block. This will change the image in depending on the variable’s value. ✭ You can use the Assets feature in the HTML5 output to have Pano2VR consolidate the images in to the output folder. Your file path in the conditions would be assets/img.jpg or assets/myfolder/img.jpg, depdending on if you add a folder or a file to the assets. Check your positioning and anchoring of the elements with the help of Live Preview. If you haven’t already done so, add an HTML5 output. Add the skin you’ve just built. Save and output the project.